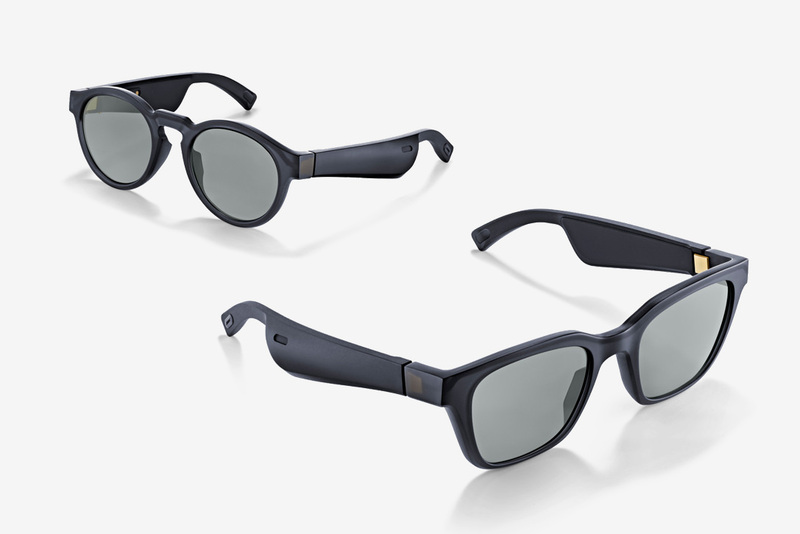 Bose today intrduced Frames, an innovative product combining the style of premium sunglasses, functionality of wireless headphones, and the world’s first audio augmented reality platform, into a single wearable. Simply put, these take micro-acoustics and voice control to a whole new level. Sporting a proprietary open-ear design, they are capable of streaming music, information, take / make calls, and access virtual assistants, all the while keeping playlists, entertainment, as well as conversations private. It’s powered by a lithium battery that connects to an included pogo-pin cable for charging. When fully charged, they’re good for up to 3.5 hours for playback and 12 hours on standby – can be fully recharged in less than two hours. Frames, along with the Bose AR app, will be available in January 2019 for $199, with pre-orders starting today. Read more a hands-on video, additional pictures and information. Available in two different styles — square & angled, or round and slightly smaller, they both block up to 99% of UVA/UVB rays, and feature uniformly tinted, scratch and shatter resistant lenses. For the tech side, Frames function like truly wireless headphones, thanks to a wafer-thin acoustic package located in each arm’s interior, to produce discreet full sound for the user, and no one else. For touch and voice control, it comes equipped with an ultra-small microphone as well as a multi-function button embedded on the right temple to access power, pairing, Siri / Google Assistant, calls / commands, etc. Bose AR isn’t what you normally expect, since it doesn’t change what you see, or use a lens or phone camera to superimpose objects in your sightline, but rather knows where you are and what you’re facing using a 9-axis head motion sensor and the GPS from your iOS or Android device. Then, it automatically adds a layer of audio, connecting that place and time to endless possibilities for travel, learning, entertainment and more. “Bose Frames are both revolutionary and practical. 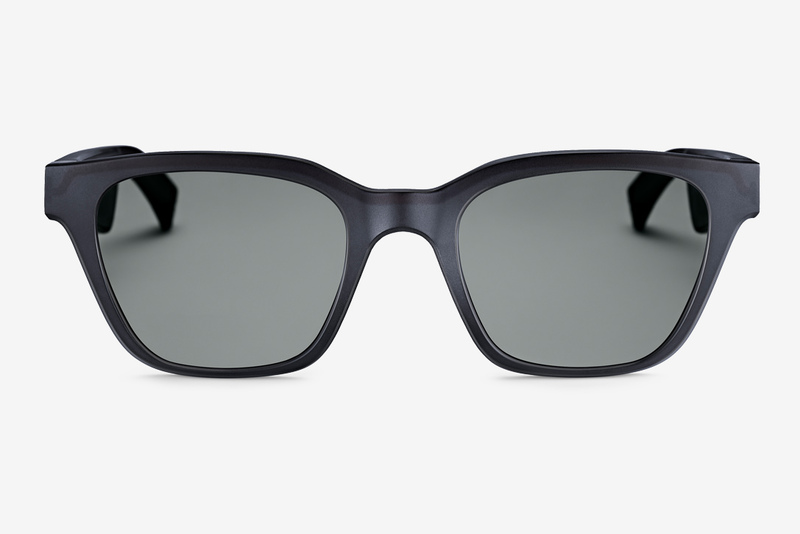 They look and act like classic sunglasses — until you turn them on. And then you’re connected to your phone, contacts, the web, and all its audible content, just like headphones. There’s nothing else like them — they’re a breakthrough you have to see, wear, and hear to believe,” said Mehul Trivedi, director of Bose Frames.